High groundwater levels increase the risk of flash flooding and the need to monitor local water level conditions. This year the Southeast River Forecast Center (SERFC) increased the number of flood forecast stations on the Santa Fe River. The attached map shows the three new locations. As a result, residents and emergency management personnel can monitor potential flooding at more locations on the Santa Fe River than before. 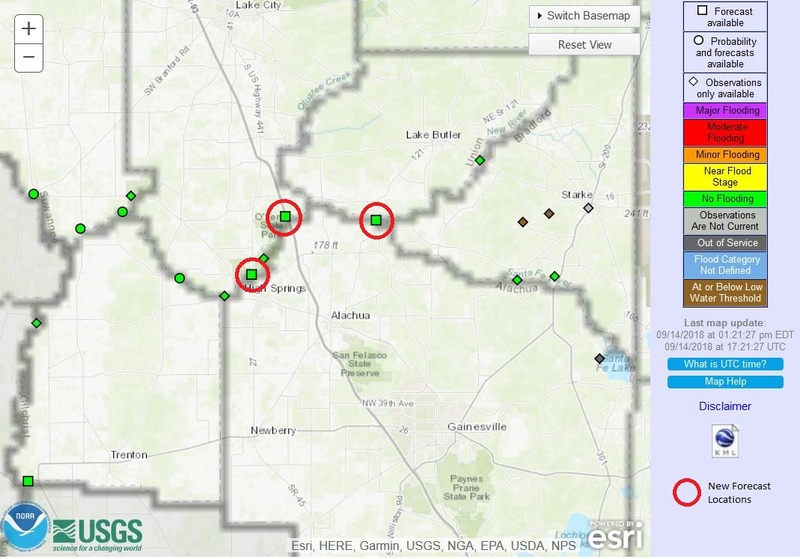 Staff at the Suwannee River Water Management District upload SERFC information to our River and Lake Levels page on the District's website (link below).